When you start in an entry-level job, you’re probably hoping to advance to a higher position at some point. Nobody wants to find themselves in a low-paying job forever, and the monotony of having the same responsibilities can get old. 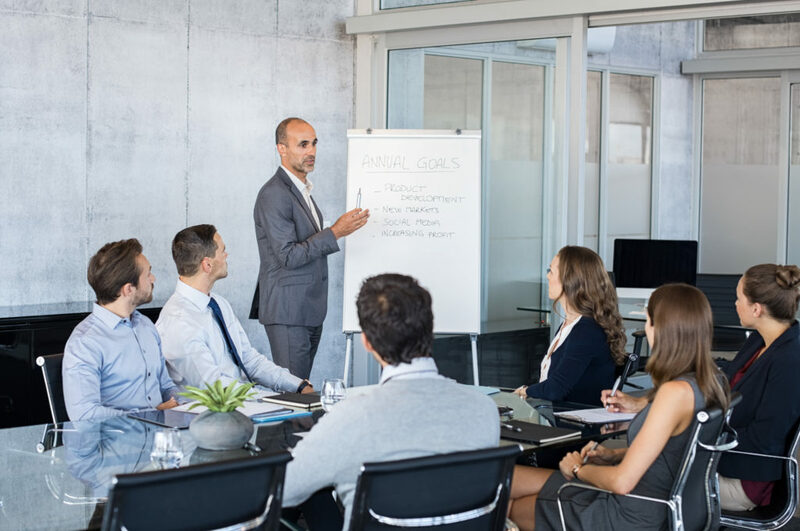 When the time comes around for a promotion, your employer has many things to consider, and leadership qualities is one of them. Possessing the leadership skills is essential for certain jobs, especially if you have people working under you. If you’re hoping to get that big promotion, you’ll need to focus on becoming a leader within the workplace. Here are the top 7 qualities that every employer looks for when hiring or promoting a leader. An essential skill for every leader is the ability to delegate. If you are someone that tends to bite more than you can chew, chances are you won’t perform to the best of your ability. Delegating tasks to your team members is necessary; some see handing off responsibilities as a weakness, but when done properly it is the sign of a true leader. Nobody wants to work with a grouch, so it is important to come to work with a positive attitude. Keeping your home and work life separate is a great quality; even if you’re having personal problems, leave them at the door when you step foot into the workplace. Set a good example for your fellow employees with your attitude. Being able to resolve conflicts in the best way possible does not come naturally to everyone. You have to think of all parties involved and a solution that takes everyone into consideration. Conflict resolution is crucial for Human Resources positions since HR representatives deal with complaints throughout the company. A true leader has the ability to think outside of the box. In some cases, the safest route is the best one. But there will also be instances where you can let your true creativity shine and follow a nontraditional path. Don’t be afraid to take initiative by trying something new. Having good communication skills applies to every aspect of life, but especially to the workplace. If you’re interviewing for a new position, this article touches on the importance of explaining situations where you used communication to your benefit. A true leader can not only communicate in one-on-one situation, but also has public speaking skills. When your fellow employees don’t trust you, how can they see you as a leader? If they have questions or concerns and they don’t trust you, they won’t feel comfortable coming to you for answers. The same goes for your boss; he or she needs to trust that you will get the job done and take it seriously before promoting you. As a leader, you need to feel comfortable giving helpful feedback to your team members. If something doesn’t go smoothly with a project, think of ways to make it better and deliver this feedback to anyone involved. You also need to be willing to receive feedback and constructive criticism. Some people take offense to this, but a good leader will take it to heart.